The Annual Milford Oyster Festival is right around the corner (August 21, 2010) and the organizers are seeking volunteers including: cashiers, runners, judges, timers, crowd management specialists, hawkers, fry chefs and soda sales people. If you are interested in volunteering, contact Kathy Rhodes. 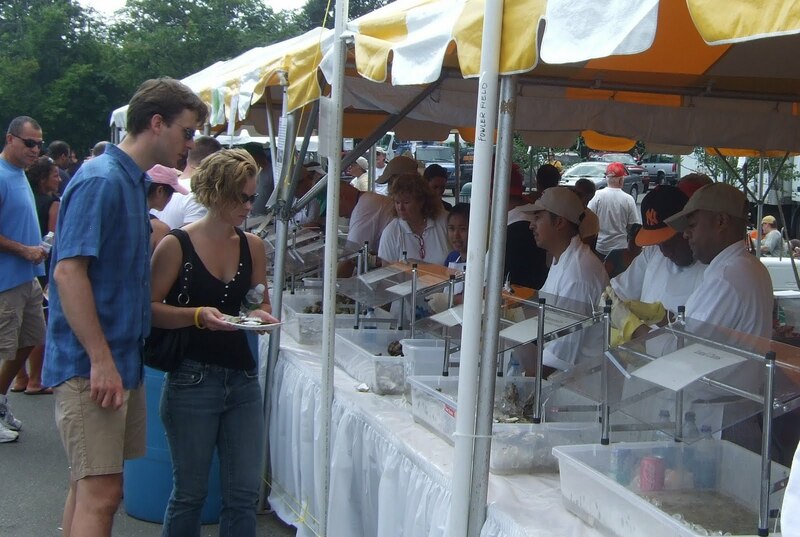 Started in 1975, the Annual Milford (Connecticut) Oyster Festival is held on the third Saturday of August every year and attracts local residents and visitors from around the globe who want to enjoy the sights, sounds, tastes and history of Milford at a family- oriented festival. 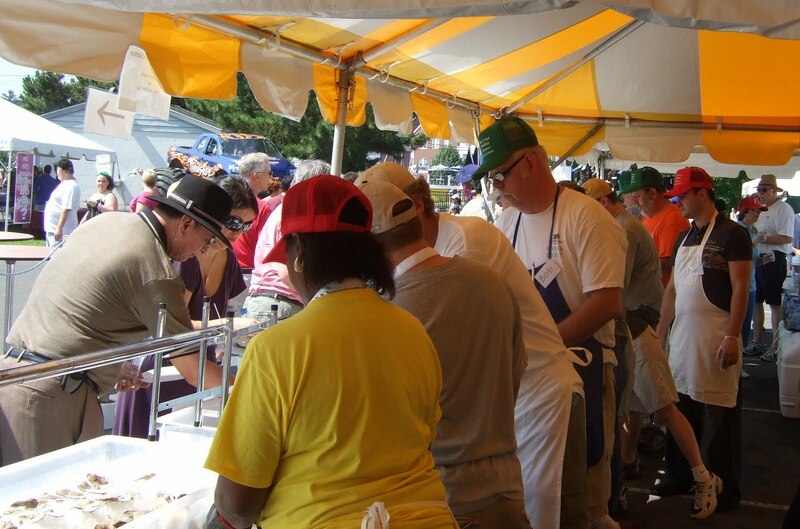 For the fifth consecutive year, the East Coast Shellfish Growers Association (ECSGA) will be a major player in the festival. Thanks to ECSGA member companies, they are able to serve a wide variety of oysters and clams including raw bars on Friday evening and Saturday. They expect to sell almost 20,000 oysters and clams, and more than 1,000 portions of cooked shellfish, too, from a 60-foot long food booth staffed by about 50 volunteers. 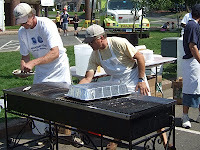 2010 marks the 36th Annual Milford Oyster Festival. 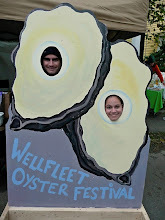 The festival has grown from a tiny local one-day celebration of the oyster and our wonderful seaside community into one of Connecticut’s summer highlights. Today the many facets of the festival include various high caliber entertainment acts seen free of charge, over 200 arts and crafts vendors from around the country, our non-profit area that brings awareness to the local non-profit civic, health and environmental groups, a "Main Street" area which helps to promote the local small and medium-sized businesses, children's amusement rides and games, a classic car show, canoe races and the tremendous food offered by many local non-profit civic organizations to help raise money for each of their causes. It is through ECSGA’s participation that the Milford Oyster Festival is again living up to its name. For a number of years the oyster was virtually absent from the Festival. ECSGA have restored it to its rightful place. The festival participants can now enjoy eating oysters if they so choose and can cheer on some of the fastest shuckers in the world in the shucking contest. And a whole bunch of people will know that oysters, like wine, come in many different varieties and flavors. The oysters you can expect to find at the festival include: Norm Bloom & Son, Muscongus Bay, Pangea Shellfish, Matunuck Oyster, Island Creek Oysters, Moonstone Oysters, The Ocean State Shellfish Coop., Atlantic Capes Fisheries, CherryStone Aquafarm, Bivalve Packing, Cowart Seafood and Salt Pond Oyster Co. and perhaps more! For more information about the festival or about volunteering, contact Kathy Rhodes or visit the event website.